ESSEC Business School thrives on an indefatigable pioneering and entrepreneurial spirit, and this is certainly alive in the institution’s student community. 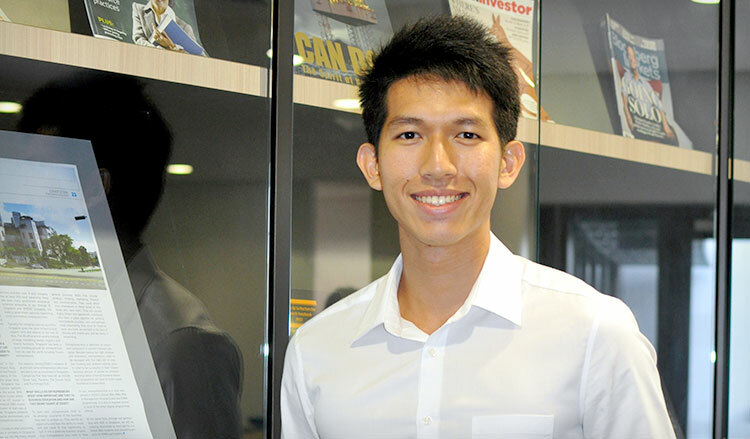 For Keivin Cheng, first-year student of the ESSEC Global BBA programme, his enrolment into this influential school is the first step towards realising his entrepreneurial dreams. The Raffles Institution alumnus believes that ESSEC shapes and develops future influential leaders in the business world. On top of equipping students with comprehensive business knowledge, the school also encourages students to create their own start-ups in school, form connections with global and local business partners, and even pick up new languages. Like many budding entrepreneurs, Keivin considered ESSEC’s repute as one of France’s top business schools before deciding to enrol into its renowned Global BBA programme. He tells us that he had secured placements in business schools in the US and contemplated travelling across the globe to begin his undergraduate journey. However, he knew that he wanted to remain close to his family and study in the comforts of his own home. A unique attribute of the ESSEC Global BBA programme is the requirement for students to take up two languages, and for non-French-speaking students, one of these two languages is French. Language classes are conducted on a weekly basis, ensuring that students are constantly made to practise the language. “Multilingualism is something that will be useful in the future, be it for work or for leisure,” Keivin tells us. He also recounts his experiences with the Kallystée game, a business simulation game developed for ESSEC with the support of L’Oréal Paris. This game is designed to simulate a real-life scenario in a company. “We worked in groups to apply our marketing and economics knowledge imparted in class. The objective of the game was to earn the greatest market share and profits for the company. I found the game to be challenging and insightful, as it gave us a taste of how to run a business, and allowed us to understand our classmates’ styles of thinking and working dynamics a lot better,” Keivin shares. Interested in pursuing a programme with ESSEC Business School? More details can be found here. Go ahead and explore other scholars’ stories as well! As recipients of the NEW Scholarship, an initiative between NEA and PUB, NEW Scholars Ming Hwang and Jaren share how they shape the outcome of Singapore's water supply and environment.